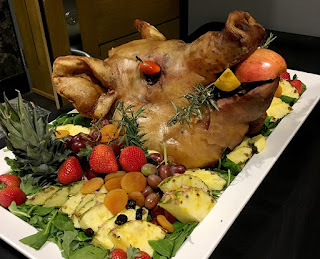 Daily Medieval: Why a Boar's Head? 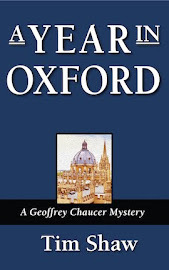 Most readers of this blog will be familiar with the Boar's Head Carol. The version we use most often today (there are slight variations, including a version for serving poultry) was recorded in a book of Christmas carols printed in 1521. It has been a popular carol—and a Yuletide event—ever since. At least one scholar links it to a Norse tradition brought to England with the Anglo-Saxons. Sacrificing a boar to Freyr, a Norse god amenable to mortals, was supposed to bring peace and prosperity in the new year. I have included translations of the Latin lines below. The final one refers to Queen's College in Oxford. Husk was the librarian at Queen's College.